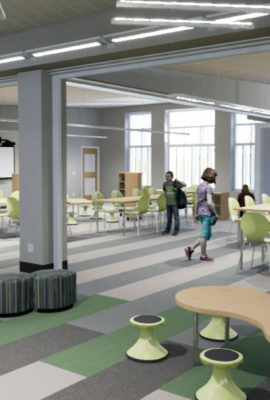 The new Prairie Trail Elementary School provides the district’s third- through fifth-grade students with a future-ready learning environment. 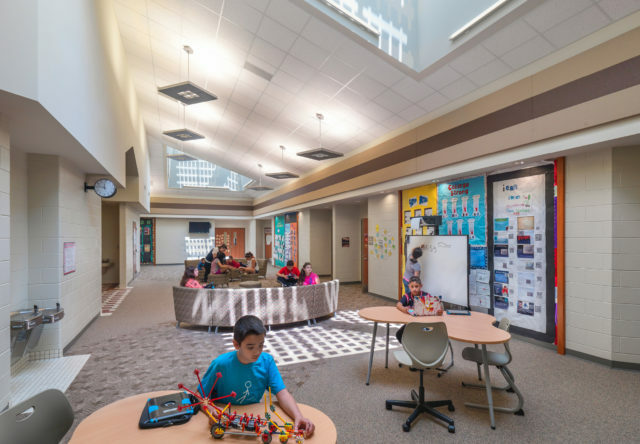 Grade-level pods divide classrooms into small learning communities with extended learning areas to emphasize collaboration. 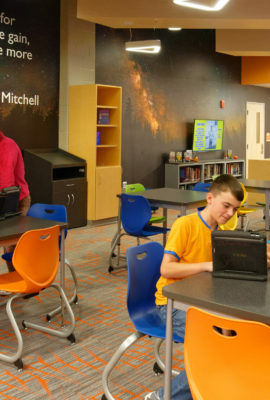 Each classroom is rich in technology to support the district’s 1:1 initiative, including audio enhancement systems, interactive display boards and wireless connectivity. 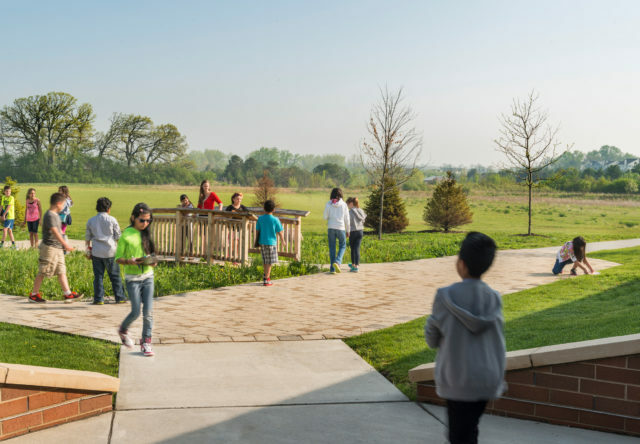 The school takes advantage of the site’s surrounding wetlands and natural vegetation to provide students with outdoor learning areas for a balanced education. 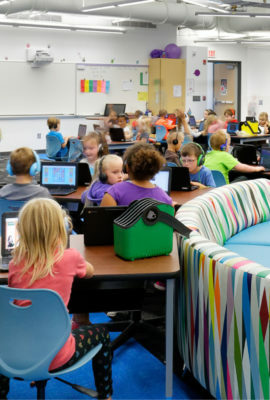 Each classroom is rich in technology to support the district’s 1:1 initiative, including audio enhancement systems, interactive display boards and wireless connectivity. 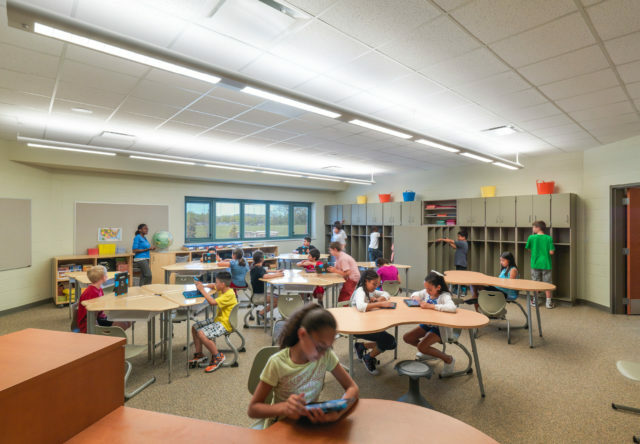 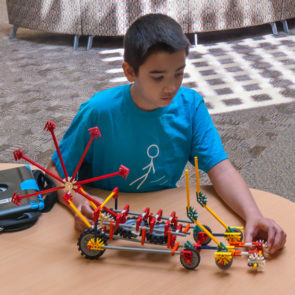 Extended learning areas offer a home for project-based learning and collaboration. 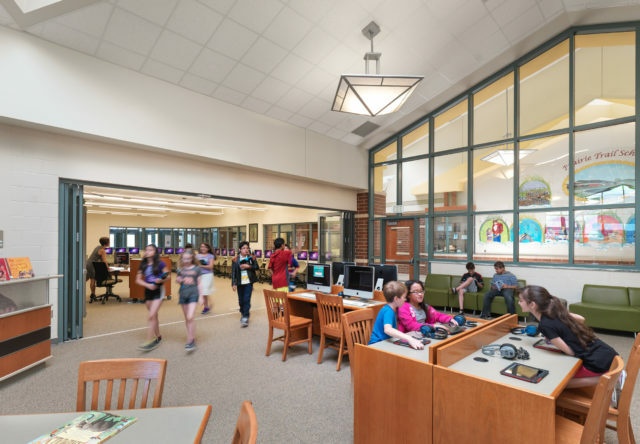 The media center serves as the heart of the school and a favorite destination for research and group work. 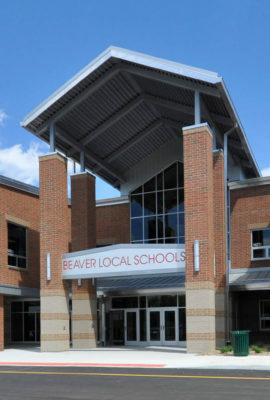 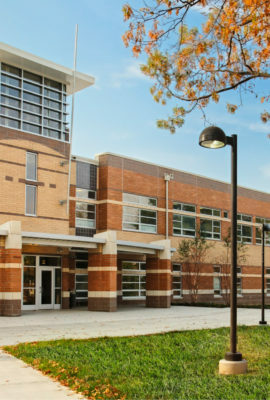 Extensive daylighting is a part of the school’s highly-sustainable strategies. 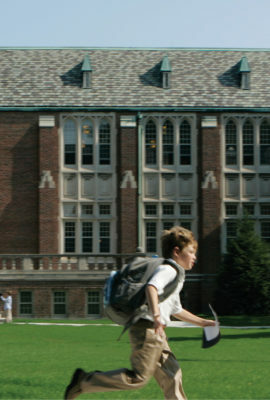 The site's surrounding wetlands and natural vegetation provide students with access to outdoor environmental learning areas. 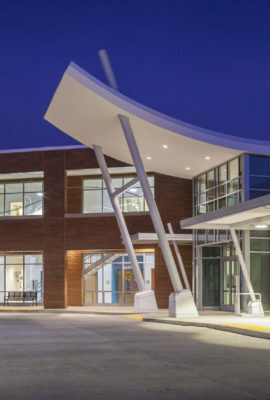 Fanning Howey has brought many resources to our community: architecture, engineering, educational planning, technology, and energy efficiency. 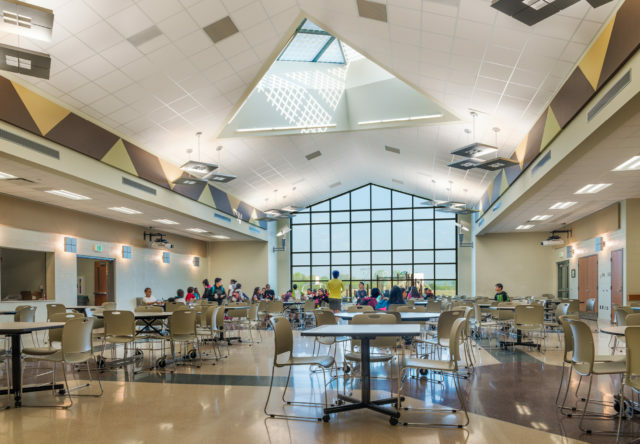 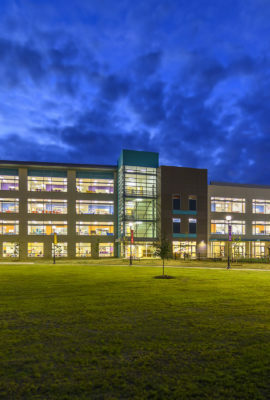 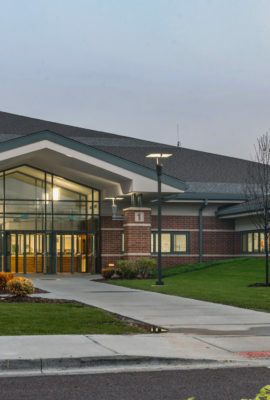 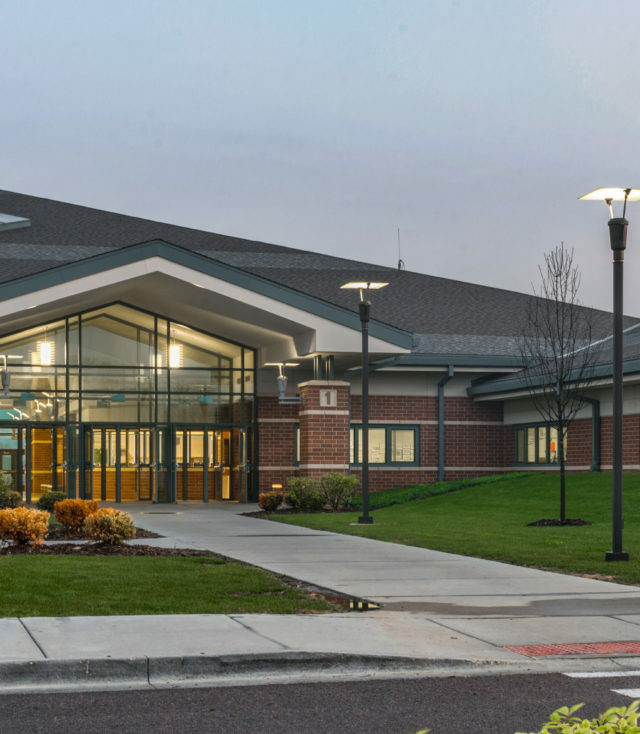 The holistic nature of your firm has allowed our school district to step into the 21st century with facilities that match our efforts in the classroom.